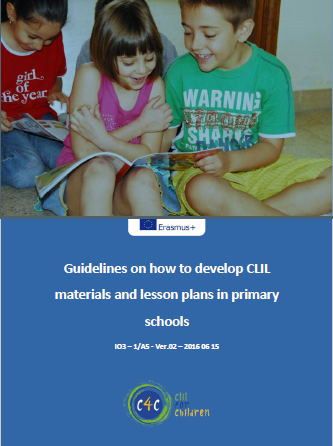 The aim of “Guidelines on how to develop CLIL materials and lesson plans in primary schools” is to provide guidelines to help the planners in designing CLIL lessons. The first section outlines the general design and topic distribution within the C4C project. The second section constitutes a set of rules and principles to follow while designing the lessons. The final part is a template to use for lesson planning and an example of one lesson with all external materials’ references. Please note that this is the first version of the Guidelines: in fact, this guide will come in two versions and the second will be uploaded after the piloting.